This is a fabulous, old-fashioned little spread which is quite easy to make and can deliver spectacular results. It can do so with an investment of only an hour or so (which gets shorter the more often you make it) and very little money. Even less money if you are given the lemons or own a tree! But, before you begin, understand that this is not a preserve like a jam or a jelly. It won’t keep indefinitely. This little jewel contains eggs and – strangely enough – butter. Refrigerate it and use it within 3 months to be safe. If you are giving it away, ensure that the recipient knows this too. Salmonella is not fun. 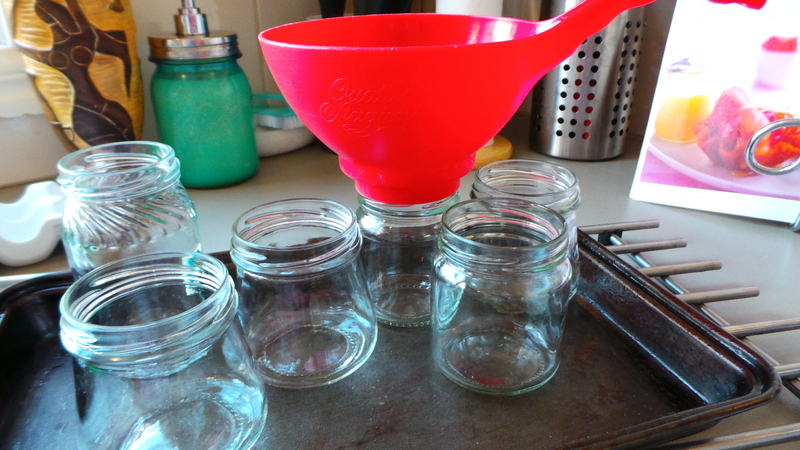 Alternatively, reuse small jam jars that you’ve taken great care to sterilise. 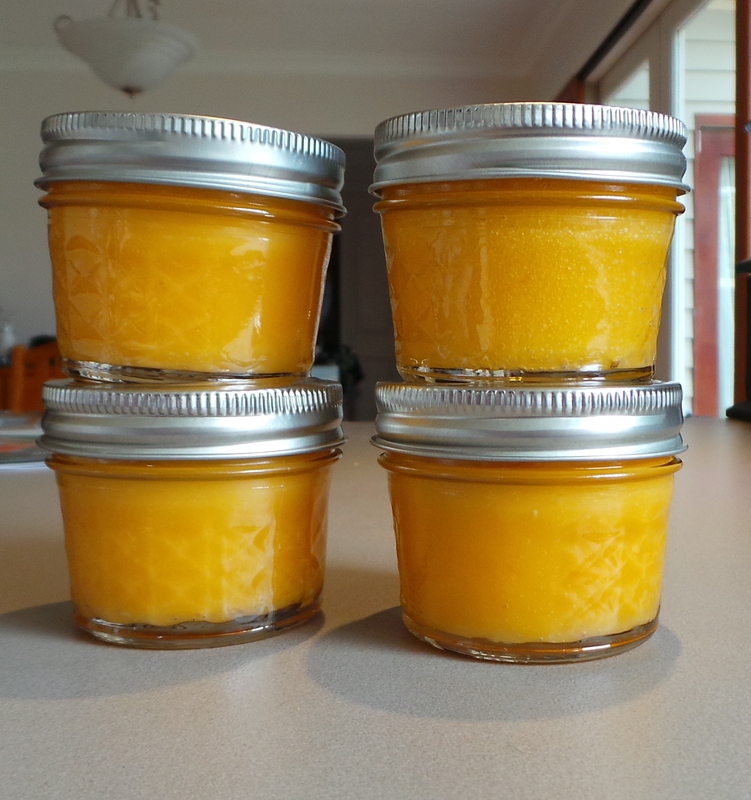 Lemon Curd can be used as a spread on your morning toast, as an accompaniment to tea and scones, or as a filling for pies and slices. 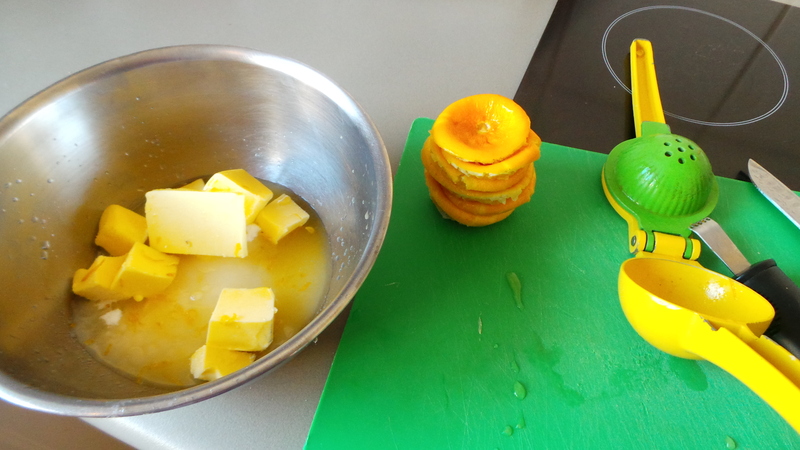 When you become more confident with making this, try substituting other citrus for the lemon. It works beautifully with the same number of limes instead of lemons, or try using two oranges or a 2 lemon/1 orange combination. Experiment. Enjoy. Place the first three ingredients into a large heatproof bowl, and set over a saucepan of gently simmering water. Make sure the water isn’t touching the bowl! 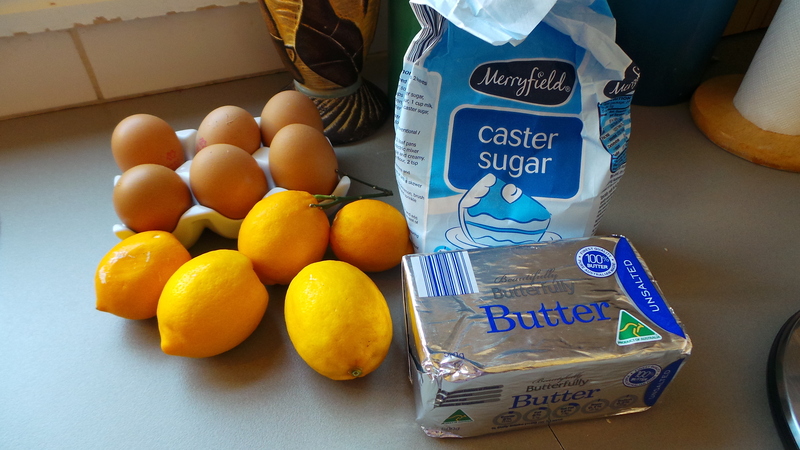 Using a wire whisk, stir gently until the butter is melted and the sugar dissolved. Break up the eggs and egg yolks with a fork and add to the mix. 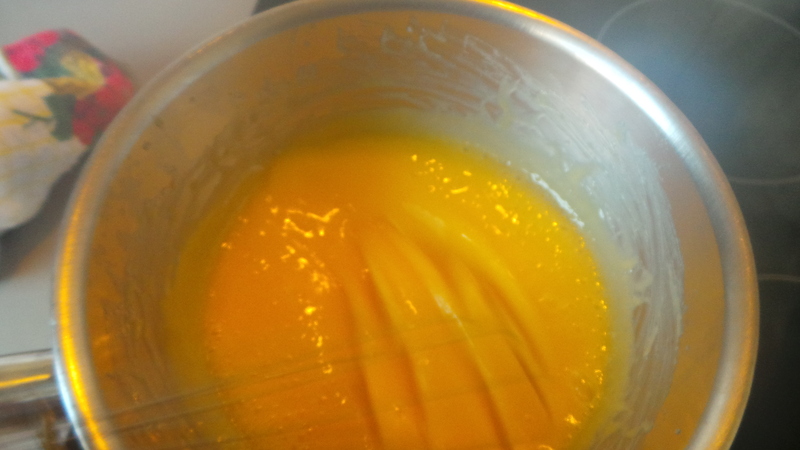 Stir the mixture constantly until it thickens and looks like a custard. The longer you heat it, the thicker it will get. Take it off the heat when you are happy with the texture. Remember that it will become thicker when cooled as well. 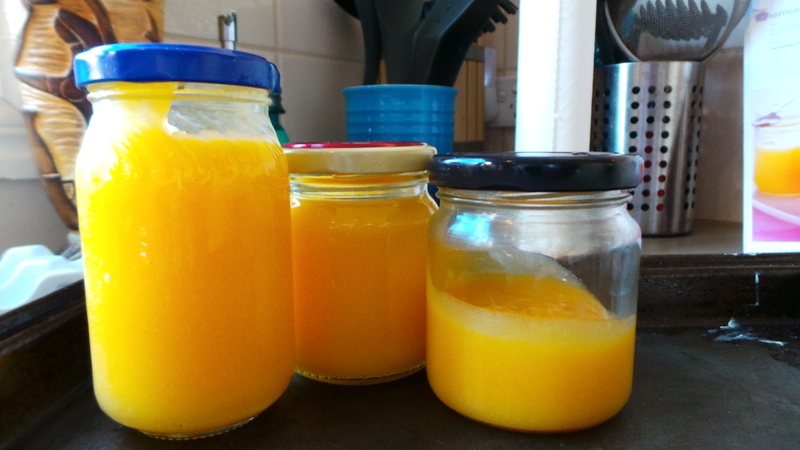 Remove from the heat and pour into small, warm sterilized jars. Store in a cool dark place, ideally the fridge. Once opened, always store in the refrigerator. * These are available in Australia now in Big W and Woolworths/Safeways stores at very reasonable prices. For some reason though I can’t find them on any of their websites. Which is a massive nuisance really.